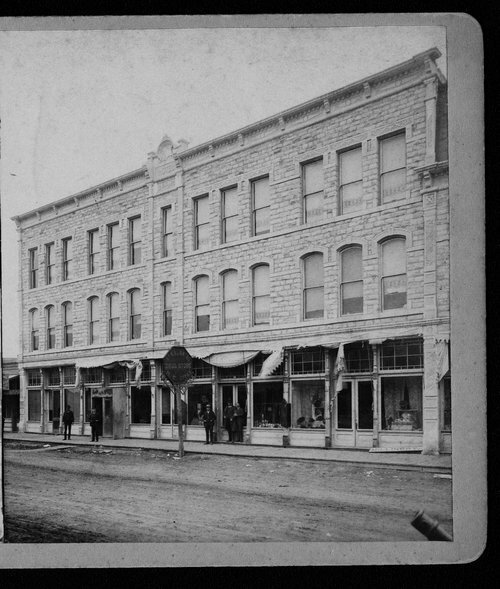 This photograph shows an exterior view of the Buffalo Hotel building in Garden City, Kansas. The sign in front of the building reads, "Palace Drug Store, R. E. Gray." There are a few men visible in front of the building. Holding Institution: Mrs. Max Wolf, 1971.